Made solely in France, Optiwine® allows you to take advantage of nano-aeration technology to bring out the very best in wine in only 10 minutes. Using one-of-a-kind technology, patented worldwide, the ‘Pocket Decanter®’ reveals all of the taste nuances of wine and is just as appropriate for professionals as for wine-lovers. The ‘Pocket Decanter®’, created by Optiwine®, is a patented French process, unique of its kind. Both regular enthusiasts and great wine connoisseurs can carry Optiwine® wherever they are and use it to make the most of each and every tasting. Visually appealing, elegant and fun, the optiwiner is made out of top-of-the-range materials with the same texture and transparency as crystal glass, without its fragility. 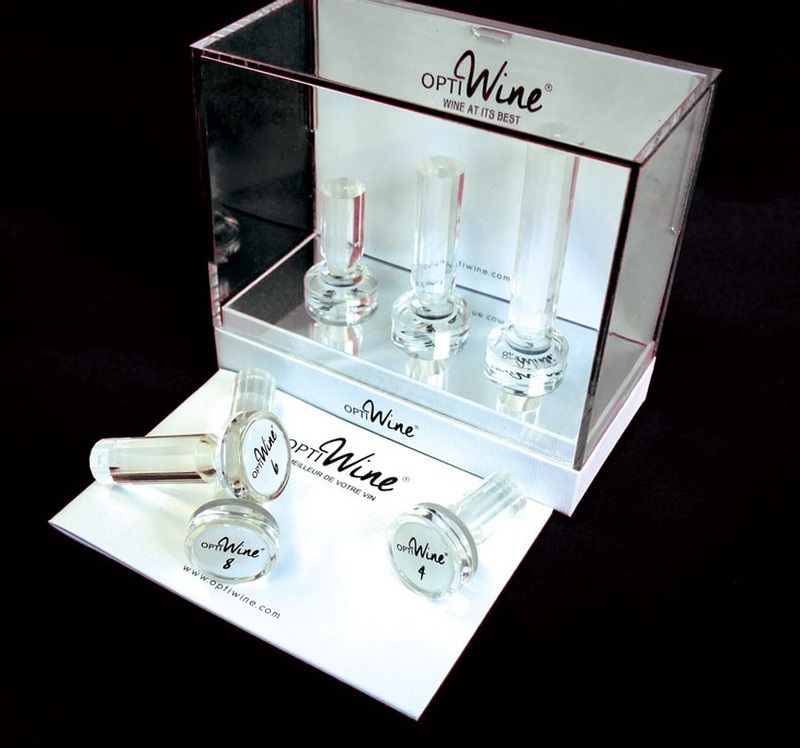 Optiwine® is a universal tool, 100% made in France, which works with all types of wine. 1) After uncorking the bottle, all you have to do is choose the appropriate optiwiner for the bottle’s vintage and then insert it in place of the cork. 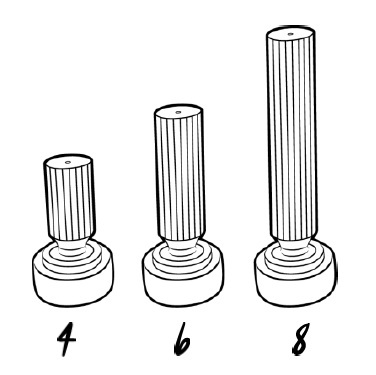 2) Press on the optiwiner while carefully tilting the bottle (2-5 times, depending on the capacity. 3) Wait for 10 minutes before serving, leaving the optiwiner® in the bottleneck. 4) Pour the wine into the glass and notice how it flourishes throughout the tasting. Optiwine® has already undergone testing and been used by many professionals, and is now available for sale at numerous châteaux and other points of sale in the Bordeaux region, including the Cité du Vin Museum in Bordeaux, but also in Bon Marché in Paris, Beaune, Strasbourg, Monaco, Switzerland, Belgium, the USA and on the Optiwine site - www.optiwine.com - from just 19€ per piece, or 55€ and 75€ for the various sets. - Optiwiner 4: Red wine from 0 to 4 years old. - Optiwiner 6 : Red wine from 4 to 10 years old. White and rosé wine from 0 to 2 years old. - Optiwiner 8 : Red wine over 10 years old. White and rosé wine over 2 years old. Optiwine® is a company located in Cadaujac, in the Gironde, created by Michael Paetzold - a winemaker, vineyard owner and specialist in winemaking techniques with 25 years’ experience - and Olivier Caste, a wine lover and enthusiast. Launched in March 2015 in Bordeaux, the ‘Pocket Decanter®’ was presented in the greatest châteaux on both sides of the river. Having experienced the taste, François Mitjaville of the Château Le Tertre Rôteboeuf was the first to be convinced, closely followed by La Fleur de Broüard. Having won over the greatest oenologists in the Bordeaux region, and seen the Cité du Vin begin to distribute Optiwine®, Oliver Caste and Michael Paetzold are now ready to take on the Alsace and Bourgogne.